OMG, so cool! ^_^ i love the couple very much.....Great job! I like this one!!!! 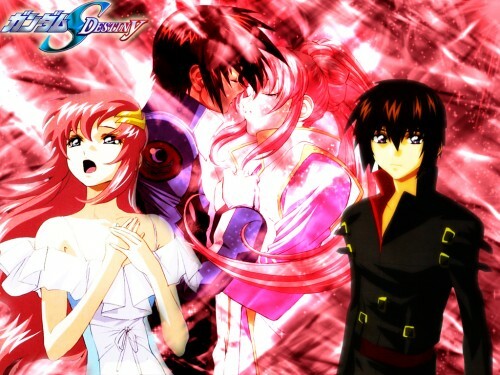 Kira and lacus again. I'm adding this to my favourites! ThanQ for sharing such a nice wallie here. This is the first time I've seen such a nice wallie of that couple from GSD. Sorry, I think I've clicked on the *add to fav* for a few times because it didn't appear in my fav. . Hoho, too desperate to get it as my fav! I hope it didn't cause any probs! Cool. 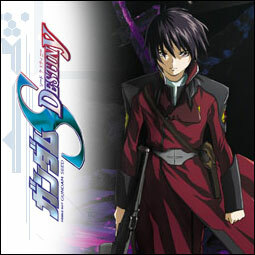 It looks great though to me that picture of Lacus on the left looks out of place. A better one could have been a pic of her standing there not singing or a pic of her looking at Kira on the right. woot go lacus and Kira. Really good job.. im setting in my screensaver right now... the background look really good with lacus in it..
Wow. That is very well done (although I think the solid Kira on the Right has a Brightness/Contrast problem. Otherwise very good. yeaaaaah they are my favo couples too!Like this wallie very much soo! wow, this wallpaper is sooo nice! I just love the abstract art in the background. I never really see kira and lacus as a couple though. they are too different. Definitely a must have. The coloring of the wallie is lovely.